Upcoming thesis defense about food for elderly! Mathieu Mingioni will defend his PhD in Angers (ESA) November 24, 2016. 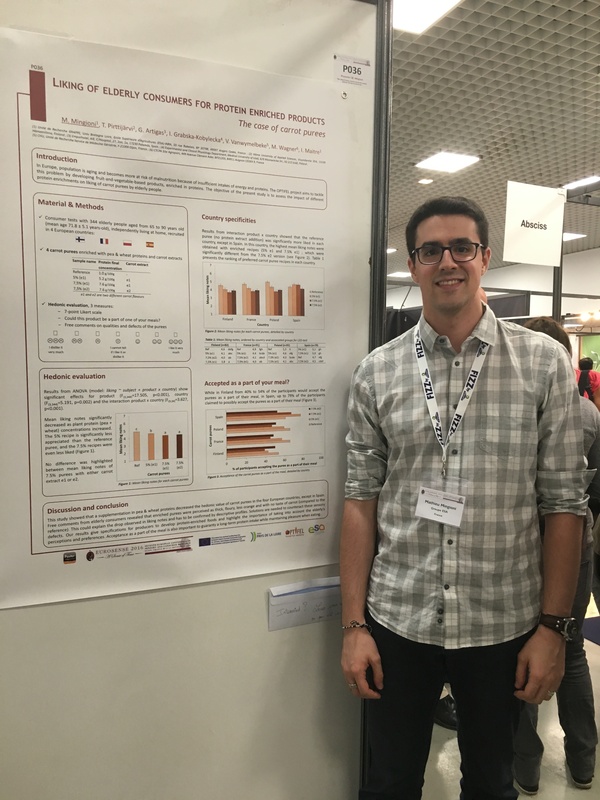 His research work entitled “Food for elderly – Sensory study of fortified fruits and vegetables” was conducted in the context of OPTIFEL project. 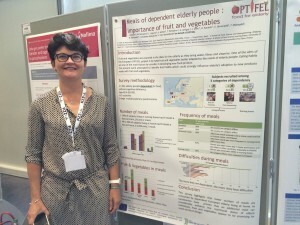 In a context of aging population and rising prevalence of malnutrition, the aim of this PhD thesis was to understand how to develop innovative food products that are nutritionally and sensorially adapted to elderly people’s diet using sensory tools. A comparative multidisciplinary survey was performed in 5 European countries. 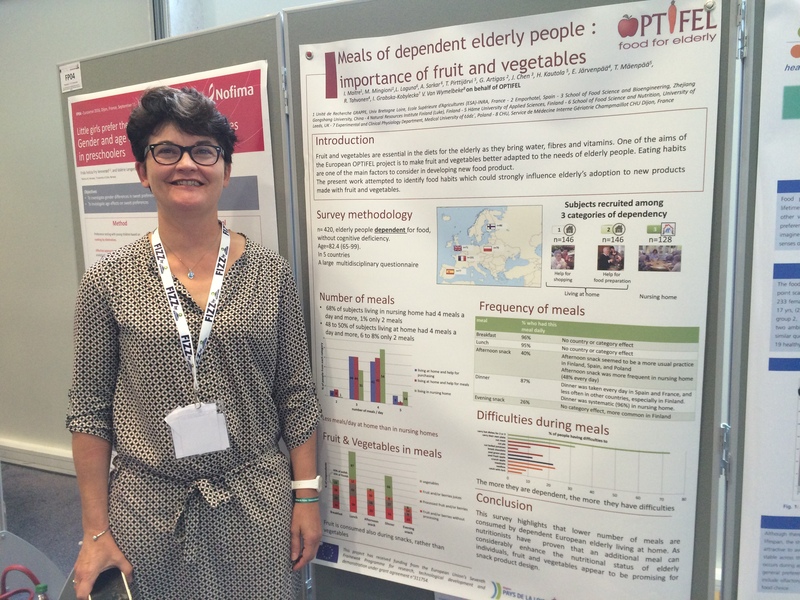 We highlighted three main patterns of food habits and preferences in elderly people with culinary dependency (n=405). Despite those differences, we deliver a list of consensual fruit and vegetables (in the studied countries). With 130 elderly people aged over 65 years old, we confirm the variability of sensory performances. We report original findings about gustatory discrimination abilities in which very few is known. Gustatory discrimination ability seems to remain stable before 80 years old but may decrease after. No link was found between sensory perceptions and appreciation for different apple purees. In a context of innovation, our results precise specifications by providing recommendations about possible ranges for sugar and acid concentrations to be used in apple purées. Finally, using a sensory expert panel and 344 elderly people, we show that smoothies were not affected by the addition of vitamins. However, a protein supplementation (pea and wheat) significantly decreases sensory characteristics and hedonic evaluation of carrot purées. 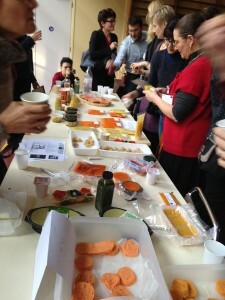 Our results highlight the importance of sensory tools in a product development approach. It is important to include them all along the process of innovation. IRTA, one of the OPTIFEL partners, has published in October 2016 a newsletter dealing with the food day. 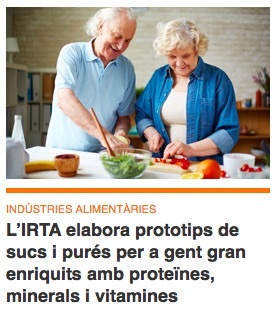 The newsletter includes a new entitled “IRTA produces protoypes of smoothies and purées for elderly people enriched with proteins, vitamins and minerals“. 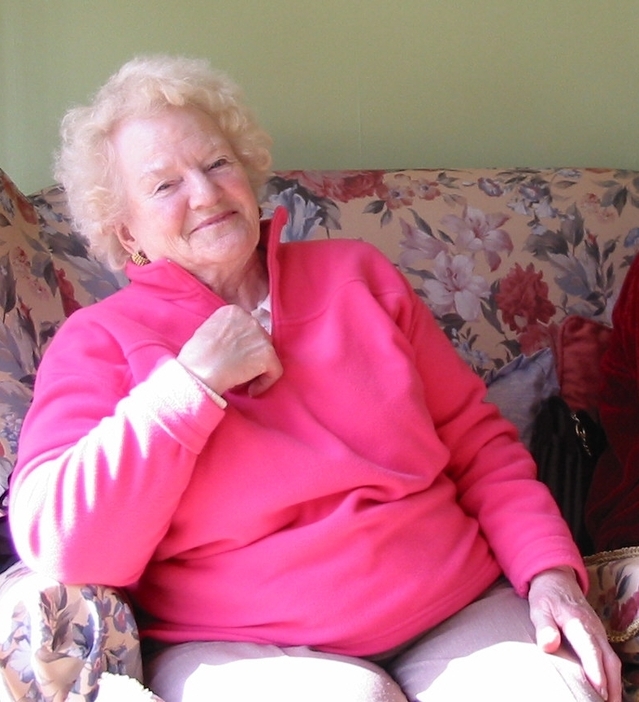 In 1990, the United Nations General Assembly designated 1st October the International Day of Older Persons. 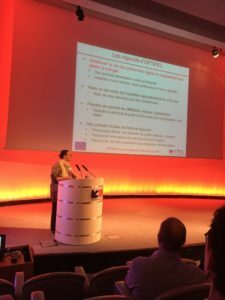 Take this opportunity to discover OPTIFEL, an innovative research project involving 26 European partners! Peel and wash the vegetables, then cut them into pieces. In a saucepan, cover vegetables with water with a pinch of salt and cook 30 min. 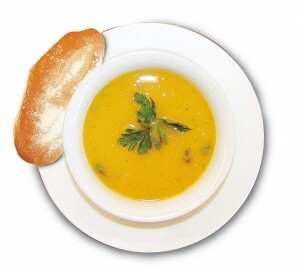 Blend the soup with cream. Add powdered milk, egg yolk, and wheat germ (or yeast) and mix with a whisk. Season and serve hot. 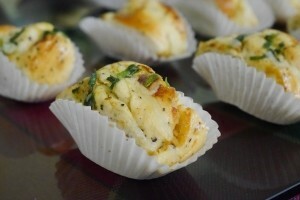 Garnish each plate with parsley. 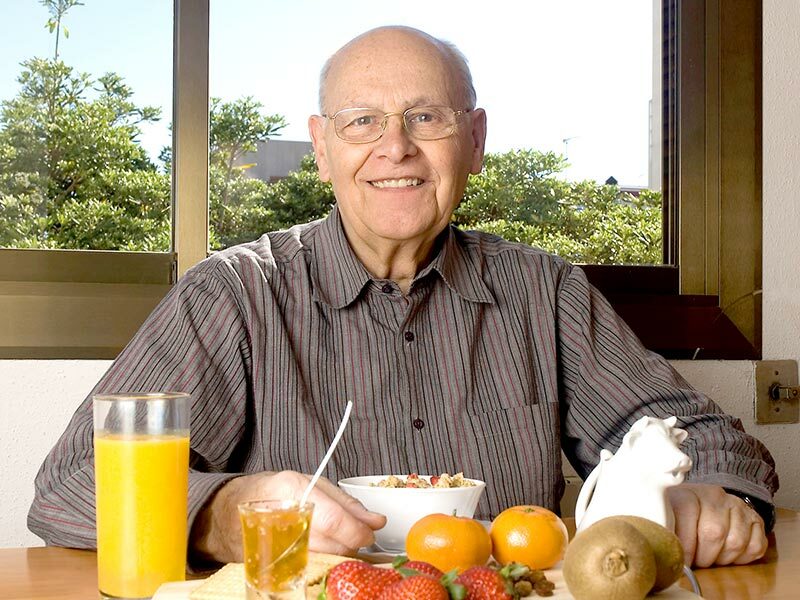 An article mentioning the OPTIFEL project and upcoming symposium dealing with food and elderly people organised by Spanish partners has been released in Lavanguardia in July, 2016. Extract (In Spanish): La Unión Europea sabe que procurar alimentos que apetezcan, convengan y satisfagan a la tercera edad no es solo una responsabilidad, sino también una gran oportunidad para centros de investigación y tecnológicos, para el sector de la salud y la industria agroalimentaria. 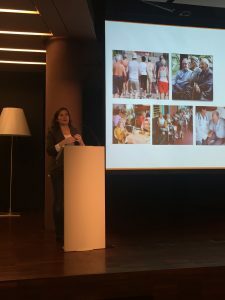 Por eso promueve y patrocina programas de investigación como Optifel (Optimised food products for elderly populations), un proyecto financiado por el 7º programa marco europeo de investigación y desarrollo con tres millones de euros, que agrupa a 26 agentes de diferentes países durante tres años y medio para definir y desarrollar nuevos productos basados en frutas y verduras dirigidos a población anciana que cocine en casa o que sea usuaria de los servicios de alimentación a domicilio. Heat tolerance of psychotolerant Bacillus cereus vegetative cells. Guérin A et al. 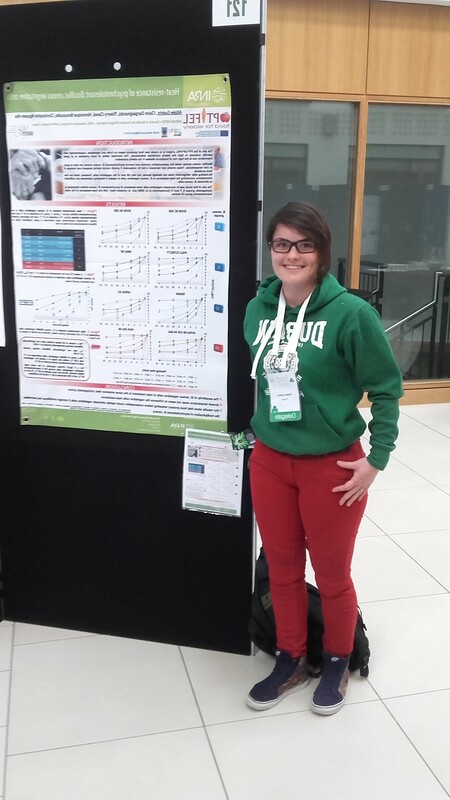 Food Micro 2016, 19-22 July 2014, Dublin.